Bridesmaids | Aristocrat Online POKIES Games. Play FREE or Real Slots. Based on the Chick Flick film, Bridesmaids is an online pokies game powered by Microgaming. The game is designed using the Microgaming’s 40 payline framework filled with all the favorite characters from film and set against a bright pink backdrop. The developers of this online slot have used the most advanced technology to make the game adaptable to different operating systems, devices and various speeds of data reception. Whether you play the pokies at home via the desktop or on mobile using an iPhone, Bridesmaids comes responsive ready to fit the screen and controls of your playing medium. The game has a well defined melodic score, consistently clean animation and uses video footage to maximum effect, although this in-video footage can get a bit repetitive somewhat. To play the game, set the max bet using the right and left arrows under the BET tab. To roll the reel, press the SPIN button. The game’s Wilds are basically what you need to focus on, as these will stack and substitute for all other symbols, except the Cupcake Scatter, to increase the chances of winning combos. Plus, about the Scatter Symbol, land 3 or more on the reels to activate the Wheel Bonus, which could help you win cash prizes, a Wedding Jackpot and a chance to play one of the 4 Bonus features. The Bridesmaids lends its glamour and beauty to 5 reels. The lowest paying symbols are the jewel-clad card components of diamonds, clubs, spades and hearts that players pay up to 240 coins for five of a kind. Medium payouts come from bridesmaids Annie, Helen, Megan, Rita and Becca with up to 450 coins, except for Bride Lillian who pays up to 750 coins at a maximum bet. Bonus icons include the Cupcake Scatter that activates the Bridesmaids slot bonus wheel. Another bonus is the Bridesmaids logo for the Stacked Wilds. Extra features of this online slot game usually evolve around a bonus game, which is awarded after getting three or more cupcake symbols on an active payline. A Bonus Wheel appears which players can spin to win one of the 15 prizes. There are four bonus features, ten cash prizes and one main jackpot that can be won by spinning the bonus wheel. To activate the Cupcake Booster Feature, players have to pick a Cupcake Scatter to win four different prizes. The prizes range from a 3x or a 2x multiplier on all pink cash prizes. There is also a 2x or 3x times multiplier on blue cash prizes as well as wheel cash prizes. · Flying High Free spins: Here players can get up to ten free spins. 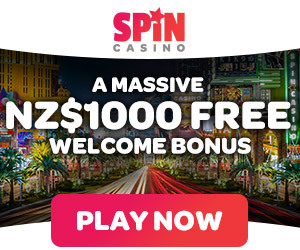 · Friendship Free spin feature: Here players get ten free spins that can payout prizes from a pay both way payline structure. · Boutique Bonus feature: Here players have to match bridesmaids to win cash prizes. There are two random bridesmaids which include bonus multipliers. · Magic Moments Bonus Feature: Allows players to win extra cash prizes – up to 10 moments will be picked. Nine of them will give you a cash prize and pick again, and one of them will end the feature. This bonus feature is quite profitable as you can win up to 350 times your stake. The Bridesmaids online pokie is a great game to play, especially for those who are big fans of the film Bridesmaids. The game has a theoretical RTP of 96.81 percent, meaning for every $100 wagered it will pay out $96.81. Have a free spin right above!